"The Fellowship has been life transforming. At Leaders Plus it suddenly felt okay to be both a present and engaged parent and massively ambitious at work." Too often parents feel they have to choose between being a good parent and a fulfilling leadership career, we exist to change this. 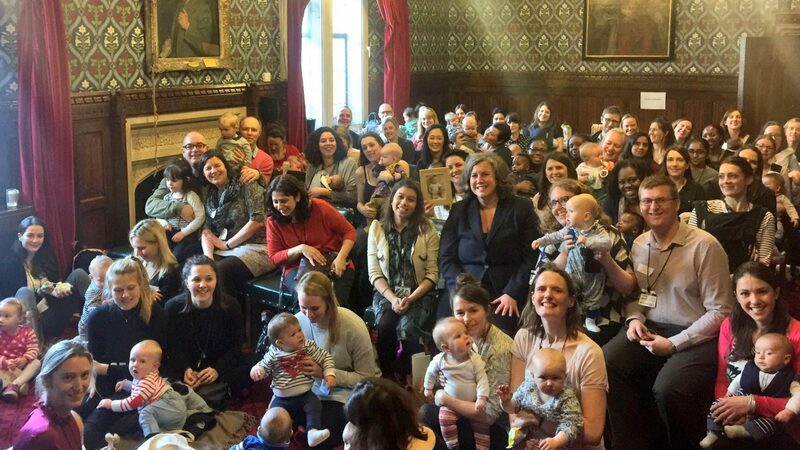 Our award winning Fellowship Programme supports Leaders with Babies on parental leave or beyond to progress in their careers. We have supported professionals from organisations such as the BBC, NHS, HSBC, Action Tutoring and the Salvation Army. We welcome applications from fathers and mothers. We work in partnership with organisations who are committed to a paradigm shift. Together, we are building a positive movement for change so that new parents can thrive in leadership roles. We have been selected by The Observer and Nesta as one of 50 New Radical organisations and our Founder has won the WeAreTheCity Rising Stars award for her work in setting up Leaders Plus. We are accredited by Social Enterprise UK and have been supported by the RSA (Royal Society for the Arts and Commerce). Number of FTSE 100 companies led by women. Percentage of people who believe women are less committed at work once they have a child. A man's flexible working request is twice as likely to be rejected compared to a woman's. Between age 30 and 40, the gender paygap increases by 11.3% from 5.7% to 17% (fulltime employment).